Dr Sumi Soori is a doctor in a million. She combines compassion and empathy with acuity and total professionalism, and has seen, and is continuing to see, me through a very challenging time. Dr Soori is totally committed to her patients and goes way above and beyond what might be expected of her. I feel so fortunate to have found her, and have no hesitation in recommending Dr Soori and her team to anyone and everyone. I would describe myself as a problematic patient with multiple health problems but the team at Roseneath have been great helping me over the last few months. I don’t live in the area but happy to travel to Richmond for an outstanding GP practice at an affordable price. I saw Dr Rodriguez who was very professional and friendly and dealt with my problem effectively and promptly. I would not hesitate to recommend visiting this practice and Dr Rodriguez specifically, a very good experience. – M.S. An excellent level of service provided. I have been extremely well looked after with excellent after care. Very professional and friendly. My child had a chicken pox vaccine and I was very impressed by the excellent service offered by Dr Sumi Soori. – R.L. 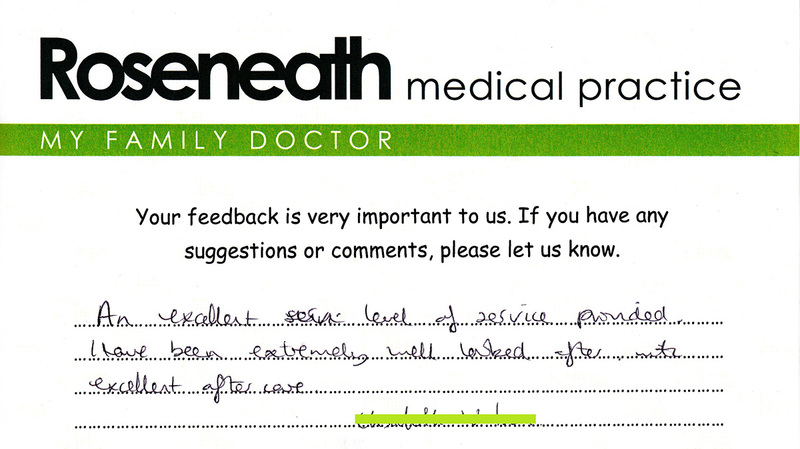 Dr Soori was extremely professional and helpful. I found her very knowledgeable and thorough in her approach and she took the time to understand my condition. I highly recommend Dr Soori to anyone living in the Richmond borough. – S.M. 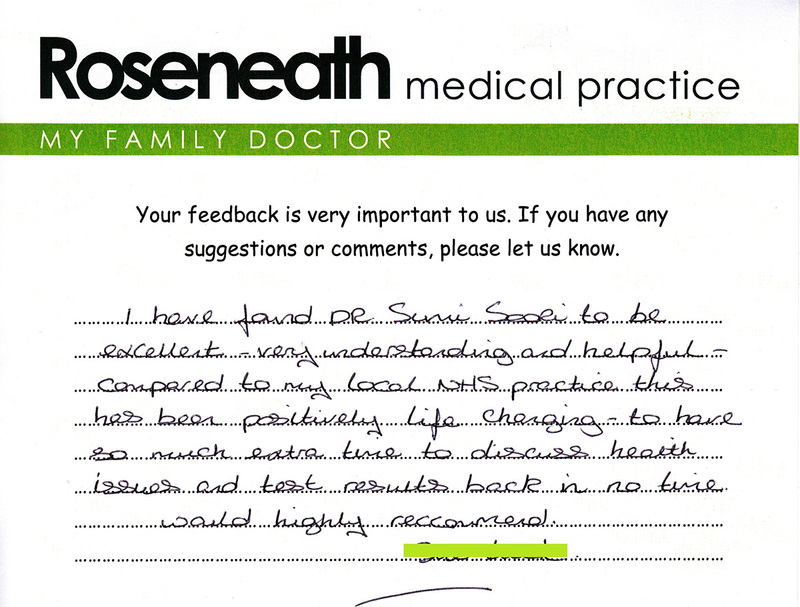 I have found Dr. Sumi Soori to be excellent – very understanding and helpful – compared to my local NHS practice this has been positively life changing – to have so much extra time to discuss health issues and test results back in no time. Would highly recommend. Great service from the practice, especially Dr Sumi Soori who is a highly experienced GP with excellent credentials. I would have no hesitation is recommending Dr Soori. – S.M. I recently saw Dr Soori at Roseneath. I found her bedside manner excellent – she took time to listen to all my issues and was very professional and compassionate. I had some blood tests done as well (by her personally) and received results within a day! First class service throughout, I can (and will) highly recommend this practice to all… Thank you! – M.W.